Do you prefer energetic dogs or laid-back, calm dogs? I like spirited dogs. It’s entertaining to watch them get worked up and go a little crazy sometimes while playing, but there’s a downside to all that energy if a dog gets too excited too often. Here’s why! Overly-excited dogs aren’t able to focus or listen to commands. It’s almost impossible to get their attention once they reach a high level of excitement. It’s easy to mistake excitement for happiness, but too much excitement can lead to anxiety or unhealthy obsessions, like those pooches that chase tennis balls or laser lights to the point of exhaustion. When your pup nearly knocks down your guests with his over-enthusiastic greeting, it’s pretty annoying. A socially anxious dog that greets another dog with excitement, often receives an aggressive response which can also trigger the excited dog to become reactive to other dogs. Too much excitement when heading out for a walk may result in a dog that bolts through the door and pulls excessively on the leash. Excitement releases stress hormones into your pup’s bloodstream. High levels of these hormones over time could have an adverse impact on your dog’s overall health. For some dogs, the adrenaline from excitement can become addictive, leading to more hyperactive behavior. Overexcitement can be an inherited trait or an environmental (learned) behavior. Sometimes it’s a combination of both. Hyper behavior can also be caused by excess energy and a lack of exercise or mental stimulation. Since there are different causes of overexcitement and every dog is unique, you may need to experiment with different solutions to discover what helps your pup relax. Here are some tips to calm the canine chaos at your house. If you’re a high-energy or anxious person, take a deep breath and practice being calm around your dog. Dogs react to our tone of voice and body language and it’s easy to get them excited and reactive to how we speak and behave. 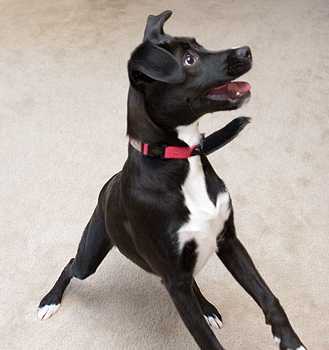 Notice what triggers your dog’s excitement by observing their body language. You’ll notice they become alert, then fixated with a high level of intensity. They may even whine or bark in a high-pitched tone. Avoid a full-blown case of overexcitement by catching those changes in your dog’s behavior early before they escalate to the point of being out of control and while you still have the ability to communicate with them. 4. Train an alternate behavior. 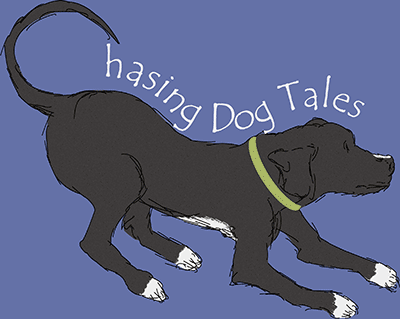 Tell your dog what you want him to do instead of the unwanted behavior. For example, Haley used to get way too excited when greeting other dogs, so I used her favorite treats to train her to sit and look at me instead of pulling towards other dogs. I started at a distance, then slowly worked closer to the other dogs so Haley could practice her self-control. 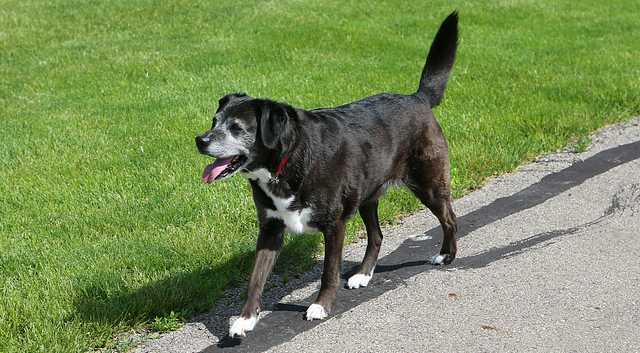 Some dogs are hyper because they have excess energy to burn. I remember trying to teach Haley to walk nicely on the leash, but it was almost impossible because she had too much energy to even focus on me. A play session before walking made training much easier and kept me from getting so aggravated with her pulling on the leash. 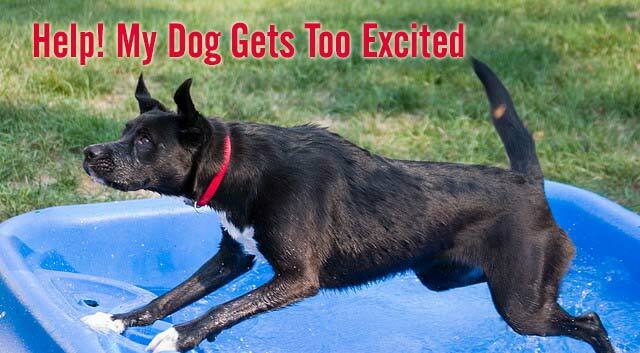 Try channeling your dog’s excitement by using interactive food toys or puzzles. Most dogs like having a job, so work on training some new commands or get your pup involved in a dog sport like agility, flyball or nose work. In some cases, ignoring the excitable behavior is the best option. For example, when you come home or when guests arrive at your house, ignore your dog’s exuberant greeting until he calms down. Don’t accidentally reward unwanted behaviors. 8. Give your dog a timeout. Train your dog on the Place command which teaches them to lie down and settle calmly in a certain spot. This is useful if your dog gets worked up or barks a lot when the doorbell rings. It helps train them to relax and have self-control. I still give Haley an occasional timeout if she gets pushy about wanting treats or playing. 9. Cut back on obsessive behaviors. 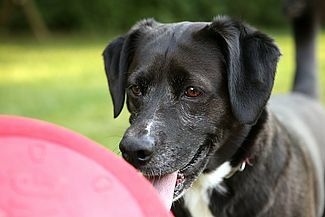 This one is for those frisbee, laser light or tennis ball obsessed dogs. If your pup’s still hyper after all that playtime, their obsession could be causing excessive excitement. Cut back on those activities and mix it up with other forms of play or exercise. Haley gets this way over inflatable beach balls and balloons. In rare cases, a dog might need to learn how to unwind and calm down. If you’ve tried everything else and can’t get your pup to settle down, hold them firmly until they relax. They may squirm and wrestle a little bit, but they should soon give up and let go of the excess energy. Once they relax, give them a massage or belly rub as a reward. Haley’s always been a high-energy and somewhat excitable dog by nature and there are still occasions when she goes a little over the top and needs a timeout. When she was younger, I remember getting so frustrated with her at times because I didn’t understand how big a role excitement played in managing her behavior. I still work with her on greeting other dogs in a relaxed state, but she’s come a long way since those early days. How do you handle it when your dog gets too excited? I’d love to hear what tips and tricks work for you. Share them in the comment section below! Thank you for sharing these are terrific tips! Thanks for checking them out, Denise! ? The only time Ruby gets overly excited is occasionally on walks when she sees other dogs. We are currently working on getting her to sit and look at us instead of going nuts. It’s so hard for some dogs like Ruby and Haley. I had to use super treats, like real turkey or chicken, to get Haley’s attention when working on this. Luckily, she’s pretty food motivated, haha! We are real mellow at our house. Sometimes squirrels or wabbits will send us off for a few moments, but we are usually calm. Those nervous, wild dogs are hard to be around. I think some dogs are just that way, as some people are too, but if you keep your dog balanced, plenty of physical and mental exercise should keep them calm. I love it when Haley gets to meet really calm dogs like you, Emma! You’re the perfect role model to help excited dogs learn the art of a proper greeting. ? I have one of each. Harley is super laid back while Jaxson is all over the place. In his defense I can say – I’ve noticed over the past few months he’s becoming more mellow as he ages. Who knows, I could have two “chilled doodles” in my house after a while. I think you might, Cathy! Time has helped Haley calm down a lot too. I kind of miss though crazy puppy days a little though, haha! Happy is so calm at home but once he steps out the door, he’s goes all crazy excited until he tires himself out. We’ll give Happy a pass because, with a name like hers, you just gotta smile when she goes a little crazy, lol! ? Liam the pug is an excitable little guy. Enrolling him in an obedience class for hyper dogs helped a lot, but he remains just a bit more alert than I would like. I use walks and treats and positive reinforcement as much as I can, but sometimes, I have to work on accepting him and sheltering him. He can’t do things like go to conferences or dog parks. It’s too much. Sometimes, he has to stay home as a result. It’s tough leaving them behind sometimes, isn’t it? It always comes down to what’s best for them and I’m sure Liam would rather not be over-stressed in certain situations. You’re a great dog mom! ? These are excellent tips, thanks! My Husky is pretty over-exuberant when greeting guests at home or new people outside as well as other dogs. My go to outside is the Leave It command and taking her away from the individual that’s making her excited. I pull her away, sideways, walk a short distance away & make her sit. Then we try to greet again. At home I make both dogs stay on the mat when people walk in – it doesn’t always work, one of them invariably jumps the gun and runs toward the newcomer. Then we have to put them on leash which defeats the purpose. It cam be frustrating, especially with two dogs. Boy, can I related to that jumping the gun thing, lol! It’s hard to get too upset with them though when they’re just happy to greet someone. ? I sure wish I would have understood this whole excitement thing when Haley was a puppy. I tried so many times (in vain) to get her to listen after she was over that threshold. Good luck with the clicker training and thanks for visiting today, Jody! Rita, though reactive to certain other dogs and strangers coming in the house, is otherwise super mellow. It’s kind of a nice change from our last dog who was a nut. 🙂 The only time I remember seeing Rita over-excited (versus reactive) was when we had an injured squirrel in our backyard! For our last dog, LOTS of exercise was key! Rita’s such a sweetheart! I bet she was excited to see what was going on with the squirrel and probably would have watched over the little guy. ? I live with this dog you described – Walter is one of these high energy dogs that tends to be overexcited and acts out as a result. Puzzle toys help a lot in the a.m. before walks and I like the “holding” tip too. I’ve done this with Walter for years and that “hug” works well as he calms down fairly quickly. I practice staying calm and using a calm voice – I also sometimes have to out Walt behind a baby gate if he starts to get the other two too excited so that’s where those kongs come out! I’m so glad the holding trick works for Walter. I bet he struggled quite a bit those first few times, but now he knows what it means and has learned to relax faster. Give him a “hug” from me and Haley, lol! ? Mr. N gets redirected or put back on leash (if he’s off-leash). Or we leave. Exercise helps too! Yep, it’s the old “the fun is over” trick. I remember doing that a few times at the dog park when Haley was younger and things didn’t go well. This is our beagle Cricket when we get home, and we have tried many things but can’t seem to calm her down! Hi, Janet! We learned a little trick when we were desperate to keep Haley calm after her knee surgery. I put a container of treats right by the door so I could grab one as soon as we walked in. Luckily, she’s pretty food motivated, so it helped her calm down and focus instead of wiggling and running around. Maybe that would work for Cricket too. ? We have an over excited + highly sensitive malamute mix and earlier we thought that physical exercise was the key to calm him down but we were partially wrong about that. We noticed that high energy exercises such as running and agility only made him more excited.. Nowadays we only walk with him and provide him a lot of mental stimulation every day and that made him a lot calmer. Hi, Susu! Thanks so much for sharing how exercise isn’t always the answer for a dog with too much energy. Your link of ideas is fantastic! I can’t wait to try some of these ideas myself.?? Especially when you’ve got a litter of young ones, lol. 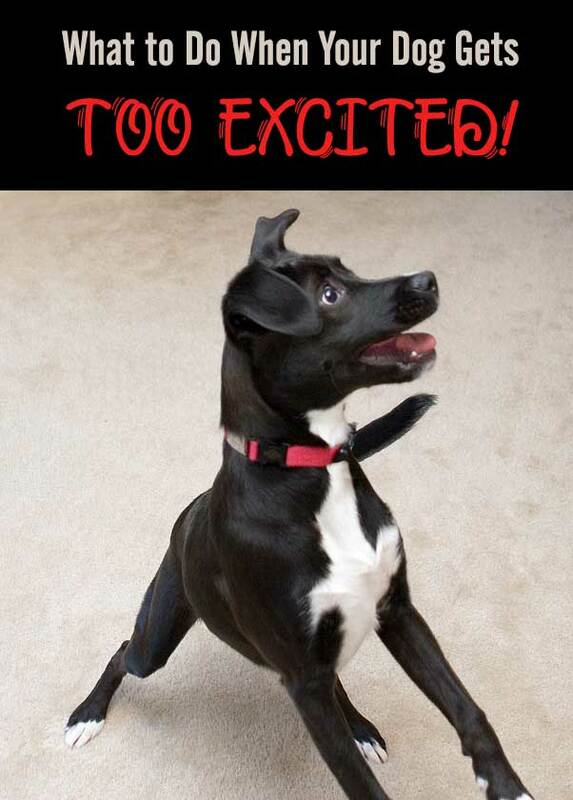 That’s some good excitement! ? Ah, yes! Buzz and his chuck-it ball, haha.? We’ve had to occasionally limit Haley’s time with the basketball too. Our dogs go nuts for birds so we spend a lot of time training them away from the over excitement; however, it is something bred into them so not an easy thing. It’s got to be challenging to try to contain all that excitement and then channel some of it during a hunt. The brown dawgs have some excellent trainers! Nothing seems to work when hounds see a squirrel! That should have been Tip #11, haha! Sometimes I feel sorry for those squirrels but they always seem to get away unscathed. ? As a guardian to an semi reformed excitable dog, your tips are spot on! My girl (a lab) was surrendered to the shelter twice for “hyperactivity ” before she came into my life. I found it helpful to teach her a “relax” command. What a wonderful way to help an excitable dog. Your lab is very fortunate to have found you and I’m sure you feel just as lucky to have her in your life. I think there’s some truth to the saying that we get the dog that we need. ? Hi, great tips! I have tried exercise in the city and at the farm, clicker training to a mat, time-outs, and a head halter. Tiring him out calms him for the evening, but he has trained his brain to be excited about certain things and will get worked up again easily. The head halter definitely calms him (to my satisfaction, not his), so I save it only for walks and when guests come. He can’t wear it his entire day! I don’t want to squash his happy, loving spirit, however he could hurt me or himself. He has such a lust for life and everything that entails. he even wants to hug the Vet! I’m going to try Nose Work and The Hug on Tsavo. I’m sure he will enjoy the work.